The weather on the East Coast is now in the ’60s, the leaves are changing and Fall’s official start date is Wednesday. 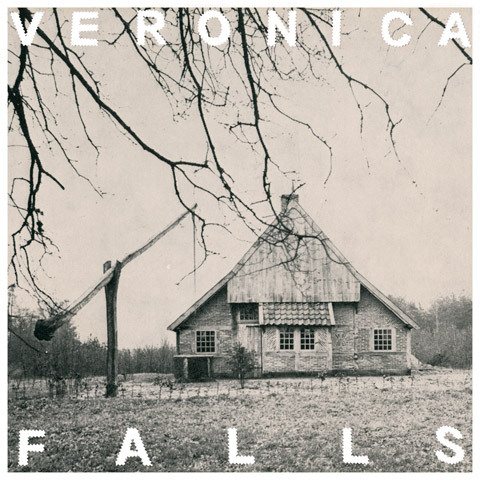 Might I suggest Veronica Falls‘ debut album as the perfect soundtrack to the Autumn? Minor chords are strummed at a fierce jangle, dark romance sung at close harmonies, and production that sounds alive and full of space. The album was mostly recorded live over a three day period by producer Guy Fixen, which gives the songs a real immediacy, and shows off the bands chops. And as I said before, there’s a lot of headroom too — it’s a “you are there” sound that really only works if your band can play. The band get the C-86 tag a lot but, apart from The Velvet Underground (which has inspired 95% of all indiepop), New Zealand seems to be a bigger influence anyway. “Misery” and current single “Bad Feeling” could both be Bats songs. 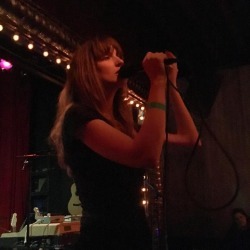 (The Verlaines are a clear influence too, and I bet someone in the band loves The Chills’ “Pink Frost.”) But this is not a band you really sit around playing “spot the influence” to, as you’re too busy swooning to the gorgeous melodies and Roxanne Clifford’s truly lovely voice. There’s not a dud in Veronica Falls‘ 36 minute running time. New songs (“Misery,” “Bad Feeling,” the effervescent “The Box”) are equals to early singles “Found Love in a Graveyard” and “Beachy Head” which appear here in newly recorded versions that might actually improve on the original versions. 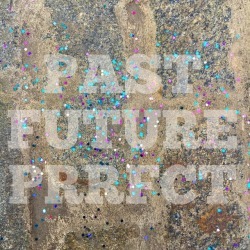 Normally I grumble when bands put all their singles (and b-sides) on their album, but the album has very good flow. It works. (That said I hope to hear some new songs next week when they play NYC.) Lyrically, it’s all old school romance: love and death, often intertwined. Sad, but happily so. This is haunted pop, a brisk October breeze that calls for a nice cardigan. If you’re on Spotify, you can listen to the whole thing. In addition to the new album, Flying Nun is reissuing some of its classic catalog on vinyl, including The Bats’ Daddy’s Highway which “Block of Wood” is from. They’re also reissuing The 3D‘s 1992 ripper Hellzapoppin’. More titles revealed soon — here’s hoping we’ll get The Chills’ Submarine Bells and The Verlaines’ Bird Dog. And cross your fingers for a Bats U.S. tour, they’re great live. And speaking of touring — back to Veronica Falls. They’ll be in North America next week. Tour dates are after the jump. 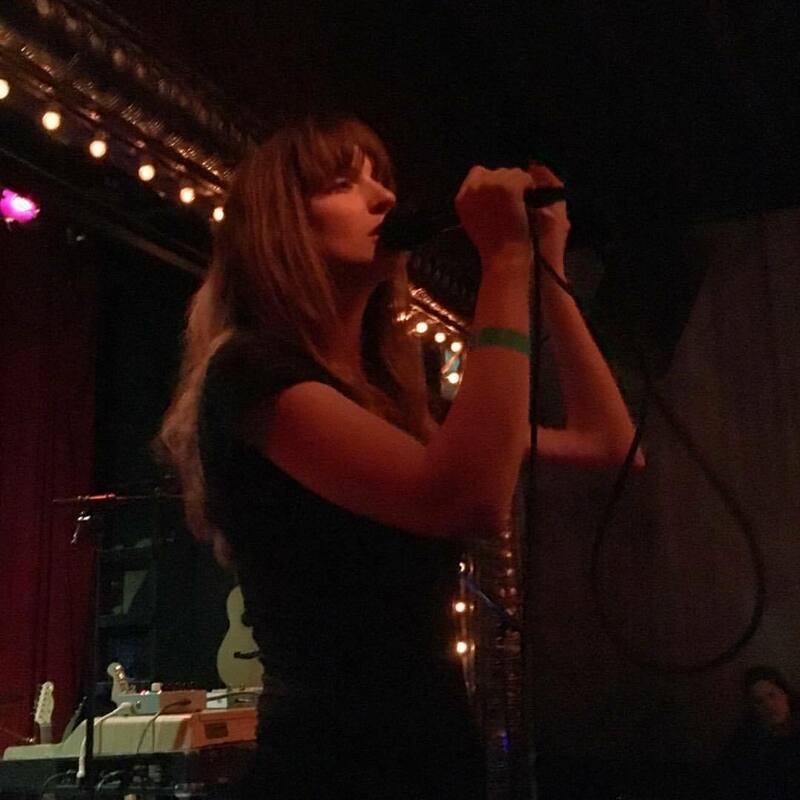 VERONICA FALLS: US – CANADA – ICELAND! Hazy shade of jangle goth. One of the two guitarists was armed with an arsenal of vintage pedals, including an absolutely killer vibrato that send chills up my spine. A guy I knew casually, who just happened to be there and knew nothing about the band at all, leaned over to me and said, “It’s like college papers online without the trip hop!” And you know, that’s about right. And that’s a compliment. I also thought of The Soundcarriers too. I can’t wait to hear more. 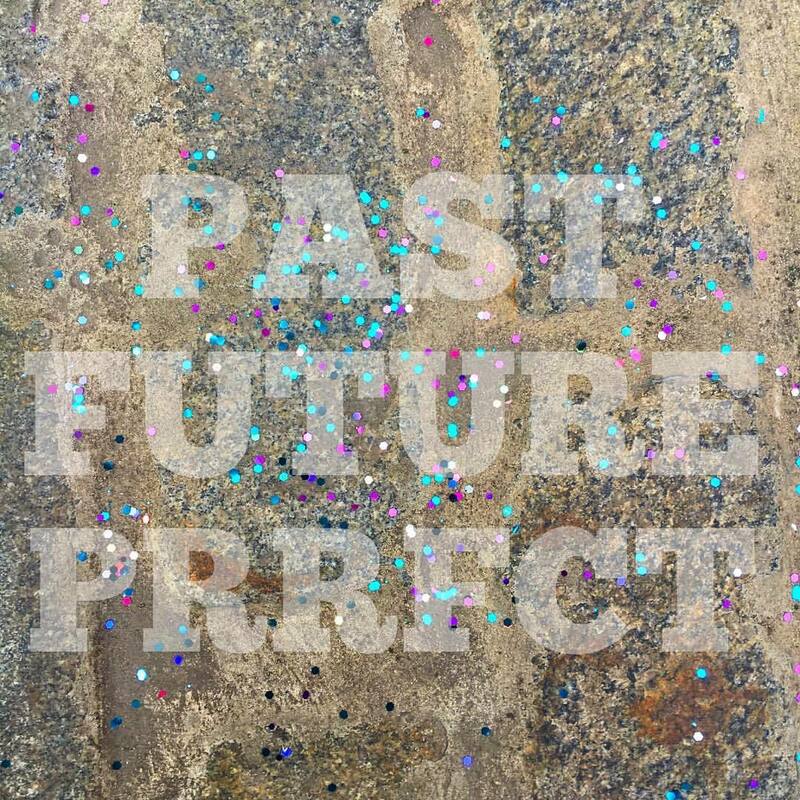 Hedgehog play Cake Shop tonight and leave NYC tomorrow to hook up with Xiu Xiu and New Orleans’ synthpop act Kindest Lines for a East Coast/Midwest tour. Provided their manager survives tonight’s show and gets them on the road, you can check out Hedgehog. Code reviews and unit testing are approaches to make modules more secure where formal correctness proofs are not possible. Thanks. It is really great to hear music that fits into the season. It's just like hearing Christmas songs during the Holiday season. I know that everybody must say the same thing, but I just think that you put it in a way that everyone can understand. I also love the images you put in here. They fit so well with what you're trying to say. Im sure you will reach so many people with what you've got to say. The delivery of meals and takeout has always been the most exciting part of living in Vancouver. Ordering food is a part of everyday life, and if you need takeout, you've got to have it. In Vancouver, Midnight Feast is the best place to order your food from restaurants late at night, they deliver, and it's also a great place to find and order food online.